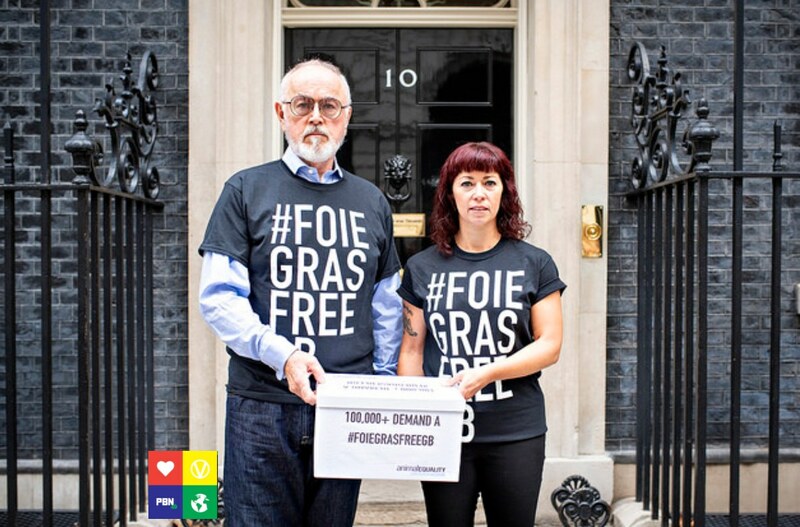 Vegan actor Peter Egan has delivered 100,000 signatures demanding a foie gras import ban post-Brexit to 10 Downing Street. The move was part of an on-going campaign by leading international animal protection agency Animal Equality, which has documented ducks and geese on foie gras farms across France and Spain being force-fed grotesque amounts of food to produce engorged fatty livers. This process has been outlawed on animal welfare grounds in the UK - but nearly 200 tonnes of foie gras is still imported every year, and sold in high-end shops and restaurants including Harrods and Fortnum & Mason. Under EU law, it is impossible to ban imports from within the union, but the Government is under increasing pressure to ban the import of foie gras once the UK leaves the EU. The Labour Party pledged to ban the product as one of the headline policies of 50 draft measures in its proposed animal welfare plans released in February. ‍The source told The Times: "Michael [Gove] has led the way on the environment and is looking closely at banning foie gras and restricting live animal exports." "Leaving the EU gives us a unique opportunity to rid Britain of this extraordinarily cruel product," Dr. Toni Shephard, UK Executive Director of Animal Equality, said in a statement sent to Plant Based News. "Our national laws rightly declare foie gras production too inhumane to take place on our shores, yet we still allow it to be imported and sold. For the sake of the thousands of ducks and geese still suffering on European foie gras farms, this hypocrisy has got to end." Peter Egan added: "The cruel and horrible way foie gras is produced by literally stuffing a poor duck or goose with grain until its liver becomes diseased and swells to bursting is disgusting to contemplate. "We banned its production in the UK because it's cruel. Now let's ban the importation of this cruel product. 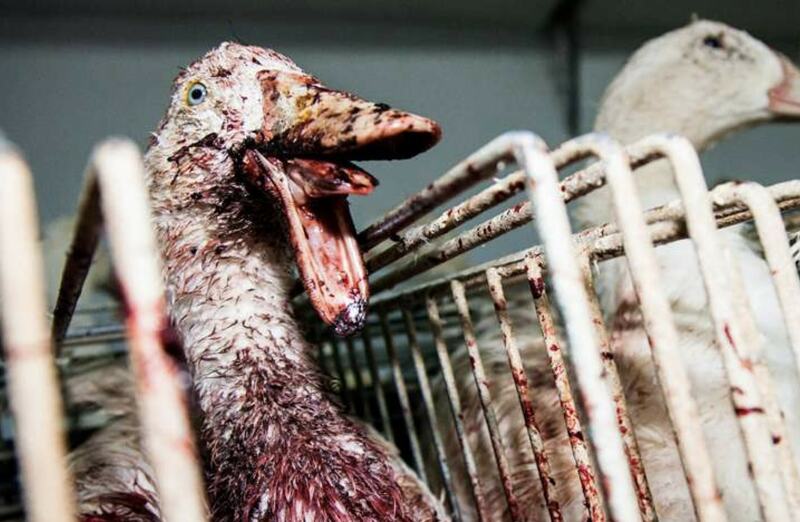 Make the UK Foie Gras Free!" Comedian Ricky Gervais, naturalists Chris Packham and Bill Oddie, and actors Evanna Lynch, Joanna Lumley and Steven Berkoff, actor Thandie Newton and Dev Patel have also spoken out in support of the campaign.